Free on July 17-18, 2015! Just Compensation is a story about fighting for justice when the odds are stacked against you. Right and wrong is usually clear cut; the question is who will stand up and fight? 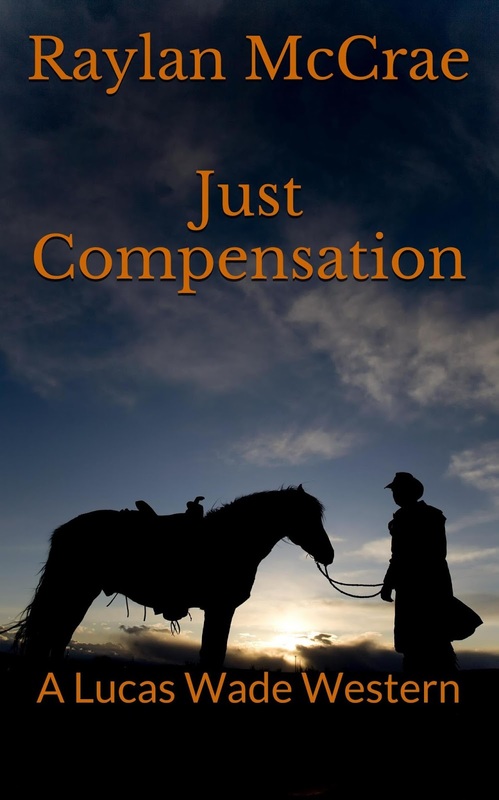 Lucas Wade, a lawman for over 20 years, is one man who will go to the limit. The story is framed by the nostalgia of the Old West, but like most classic westerns it's a tale that could be put in any setting or time. Help is needed by a past love, who now finds herself, along with her husband and neighbors, being threatened by a rancher that bends to no man and no rule. While Wade determined long ago that his life was too dangerous to put a wife at risk, he soon finds himself looking after this woman from his past as well as a young black girl who has been forced into service at the local saloon. This new relationship brings in a myriad of racial issues not normally found in the western genre. Wade uses tough talk, a quick draw, and a deadly aim to get justice for those who can’t find it for themselves. The Lucas Wade Westerns are not just for those familiar with the genre, but for all readers who love action and the triumph of right over wrong.